This report contributes to the broader international debate on why we need multilateralism and how to make it more effective to achieve the 2030 Agenda. At a time when the value of multilateralism is being questioned, the report provides new evidence and recommendations for a new “pact” on multilateralism. 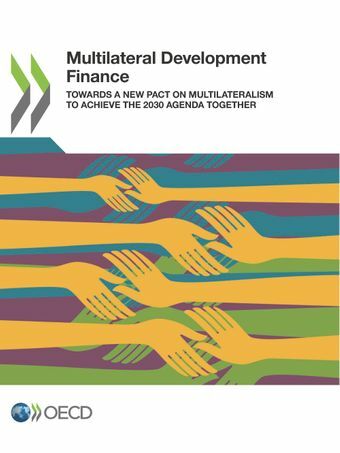 This pact would be founded on recognition of the mutual responsibility of sovereign states and multilateral institutions to create a stronger, more effective multilateral system.The report offers a detailed overview of official development assistance (ODA) spending through the multilateral system. This year’s edition introduces three innovations. First, it examines the growing role of China, other sovereign states, philanthropy and the private sector as funders of multilateral organisations. Second, it analyses concessional and non-concessional spending by multilateral institutions, and discusses how multilateral action needs to adapt to the new development agenda. Third, it presents a new multi-dimensional metrics to measure the quality of multilateral funding, using financing to the World Health Organisation as a case study. Building on this evidence, the report outlines policy recommendations that provide a sound basis for principles of good multilateral donorship to deliver on the 2030 Agenda. Country fact sheets: How are DAC members using the multilateral development system? Adopt whole-of-government approaches to define expected outcomes of multilateral partnerships and establish adequate co-ordination mechanisms. Strengthen collective initiatives to assess multilateral performance, such as multilateral organisations’ evaluation units and MOPAN. Promote harmonised working practices of multilateral organisations and encourage discussions on systemic gaps and division of labour. Fill gaps in underfunded areas by funding thematic windows and softly-earmarking funds instead of strictly earmarking at project level. Increase predictability of funding by making multi-annual commitments linked to the strategic plans of multilateral organisations. Use evidence to make decisions on earmarked funding and ensure alignment with the mandate and priorities of multilateral organisations. COUNTRY FACT SHEETS: HOW ARE DAC MEMBERS USING THE MULTILATERAL SYSTEM? The Multilateral Development Finance Report provides country fact sheets of the ODA contributions to the multilateral system by the 30 members of the Development Assistance Committee. The country fact sheets contain data on both core and earmarked to multilateral agencies. Through a pioneering multi-dimensional metrics, the Multilateral Development Finance Report attempts to quantify key components of good multilateral funding. The new OECD metrics was developed from a case study on the World Health Organization that quantitatively assesses the quality of funding provided by 12 contributors based on a number of evidence-based indicators.